Extremely Powerful RC Fighter Plane! - Muscle Cars Zone! Extremely Powerful RC Fighter Plane! 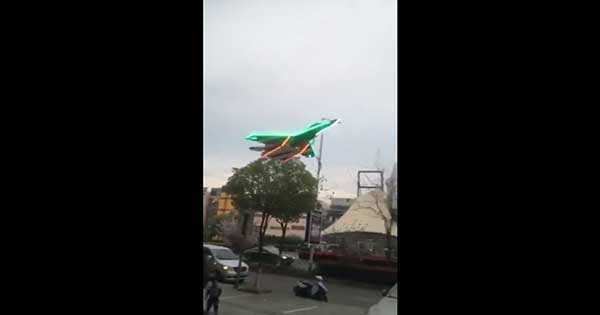 This RC fighter plane is bound to leave to leave you in awe. When it comes to a man`s hobby, sometimes, we are more than willing to sink huge money into making completely sure that we get the best experience. If you have been paying attention to the remote control hobby, you might have perceived that this hobby has definitely gone overboard. The hobby of remotely controlled cars is a pretty huge think but so is the hobby of remotely controlled aircrafts as well. What`s special about remotely controlled aircrafts is that these machines can be pretty huge and powerful, cutting the air like hot knife through butter. That`s why, in this one, we decided to show you one pretty powerful RC fighter that`s based on the Shenyang J-16. The Shenyang J-16 strike fighter aircraft is created by the Chinese military and civilian aircraft manufacturer – Shenyang Aircraft Corporation. This company is also known as Shenyang Aerospace Corporation. It was founded back in 1953 and it`s one of the first aircraft manufacturers founded in China. The Shenyang J-16 is one of their greatest creations to date. It`s equipped with PL-8 air-to-air missiles which contain devastating power. So, having a RC fighter plane based on this Chinese striker it`s a pretty cool thing indeed. Now, we said that this hobby can be pretty expensive. However, this one being a Chinese product comes at a very cheap price for only around $150. Having said that, check out the video below and see if this RC striker meets your standards. Finally, check out the best drone for architects!